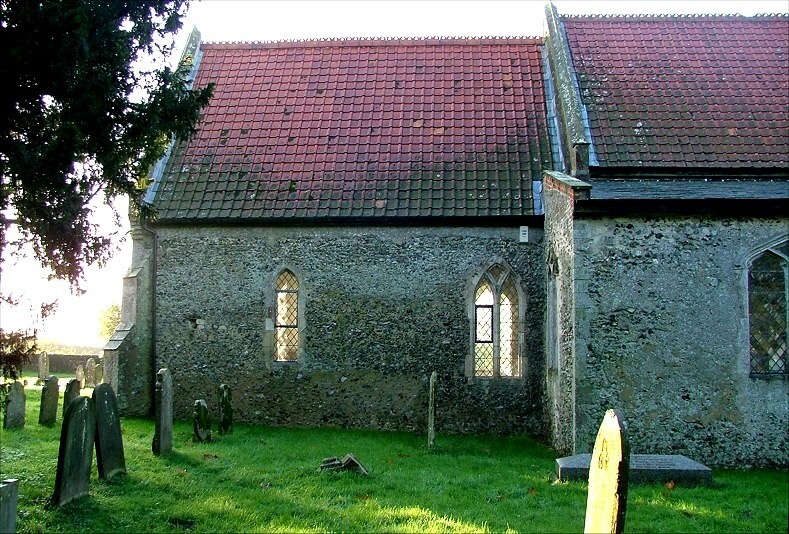 This delicious little church sits to the west of its otherwise rather suburban village in a pretty graveyard along a narrow lane. We came here hot foot from Norwich station, and it was just after nine o'clock on a winter morning. The trees dripped as the night's frost melted, and I stooped to pick up the poppy wreath which had been blown off of the war memorial on the gate. The air was still now, and all there was to hear was the chatter of starlings picking over the path. 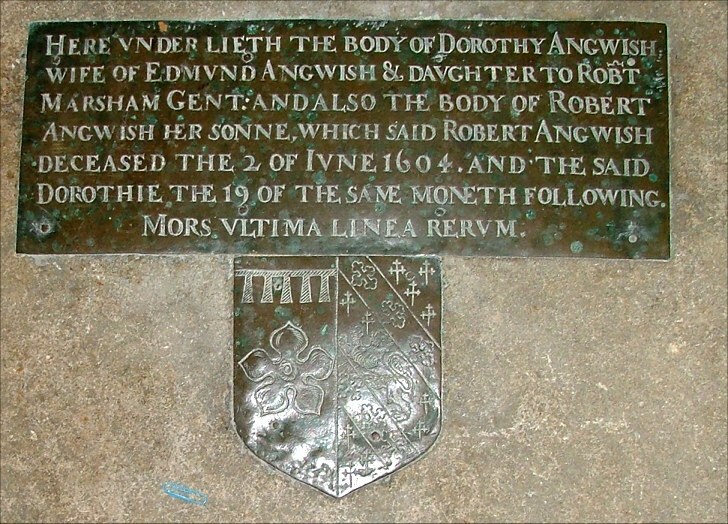 It did not seem that we were barely seven miles from the centre of Norwich. 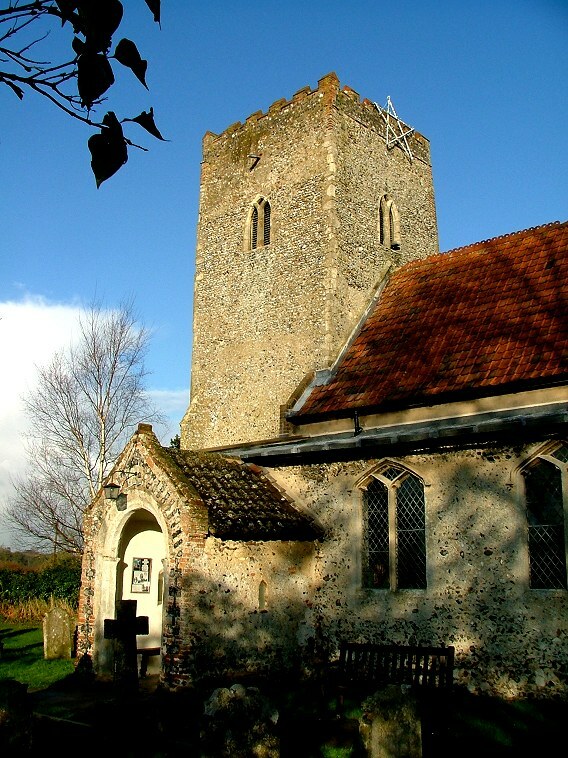 St Mary is small, but everything is in place. The graveyard is small too, as if this was a church in a children's story. The clear glass in almost all the windows means that you can see right through the church. 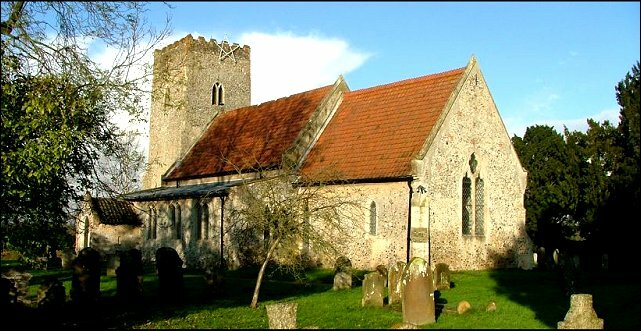 Almost everything about St Mary predates the Black Death; very unusual in East Anglia where we were enthusiastic rebuilders in the late 14th and 15th centuries. The Victorians redid the roofs, but otherwise the church retains its little aisles with their lancets and delectable Decorated windows. 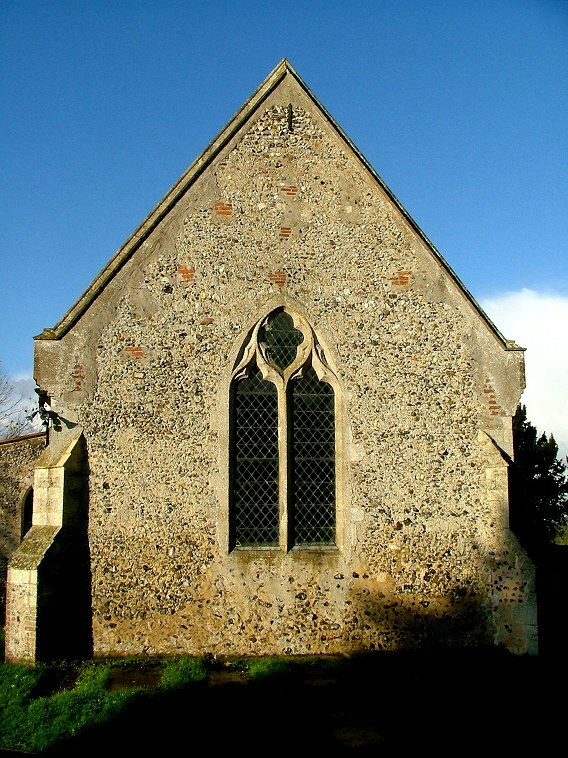 Externally, it is a thing of beauty, and once you have tracked down a keyholder (like many churches this close to Norwich, it is kept locked) you will find that the inside is similarly lovely. Many predominantly Decorated buildings that have not been enhanced with the crispness of Perpendicular have an endearingly shabby feel to them, but that is not the case here. 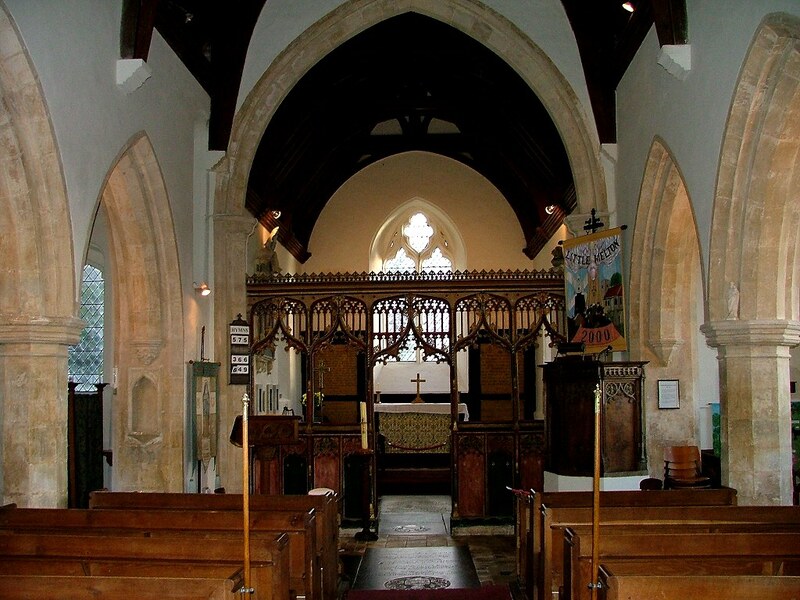 St Mary is clean and full of light, the creamy walls and mellow wood of the furniture creating a sense that is devotional and welcoming. 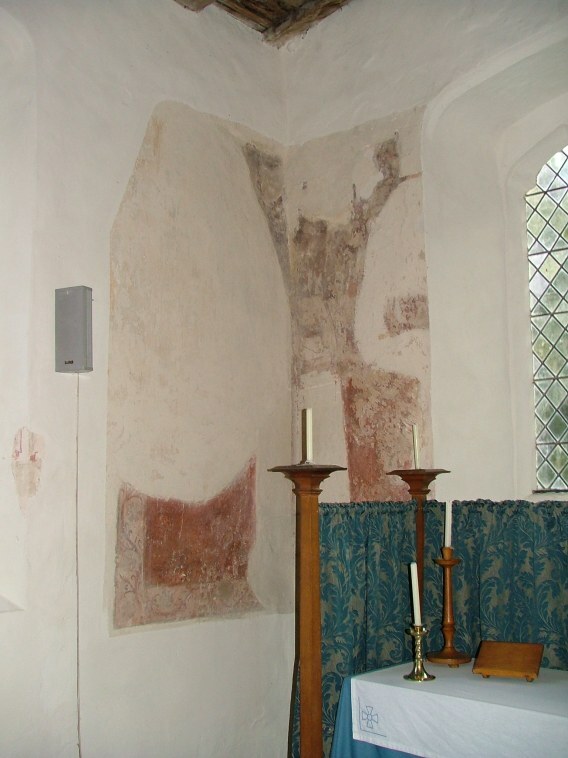 And on those creamy walls are some marvellous survivals, for St Mary has some fascinating early 14th century wallpaintings, almost certainly dating from the time when the church was built. 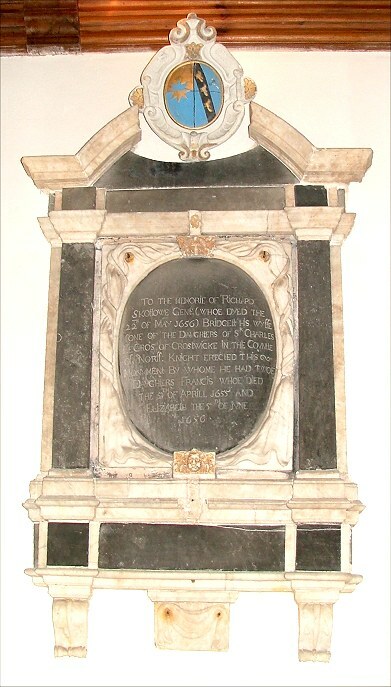 The most interesting is on the north arcade wall (there is no clerestory) and it is part of a Warning against Gossip. 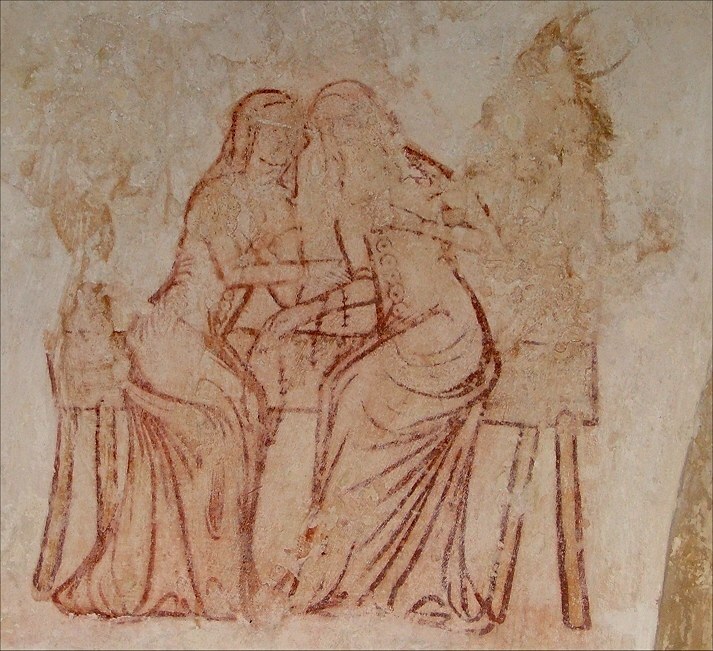 These instructional paintings depict a group of women neglecting their rosaries to gossip about their neighbours. Meanwhile, a number of devils listen in, writing down what they say; the notes, no doubt, to be used in evidence against them on the day of judgement. The women here are seated at a bench, the fine lines of their clothes still perfectly sharp after six hundred years. You can see it at the start of this article - click on it to enlarge it. There is another good one at Seething, a few miles away. 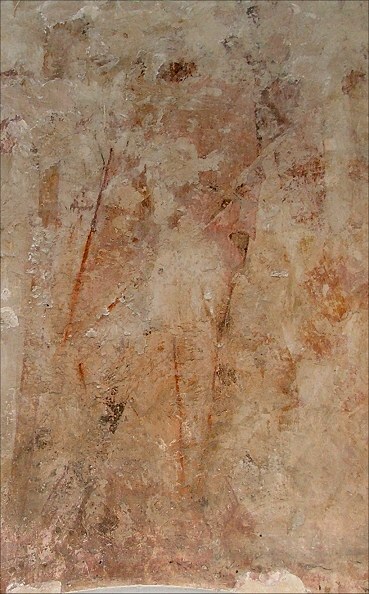 There is a St Christopher further west on the arcade, but only the lower half survives. 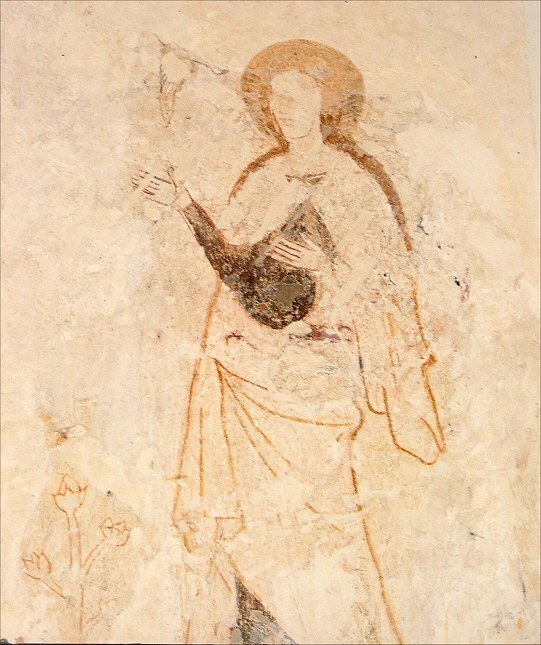 More paintings can be seen in the north aisle, but probably the best is the Annunciation in the chancel, with Gabriel and Mary either side of the east window - thank goodness the Victorians did not replace it with a larger one! 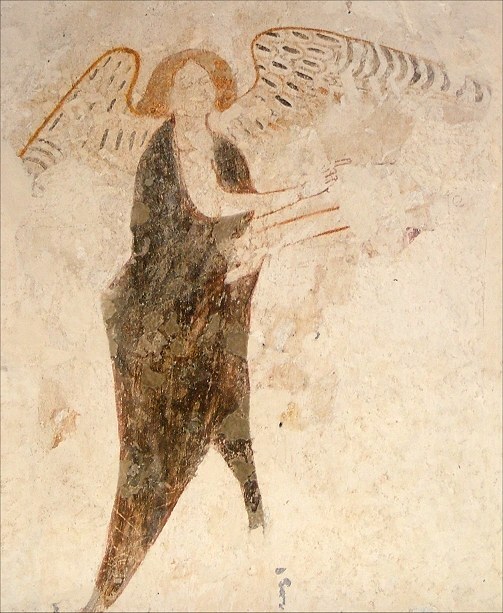 Gabriel's wings appear to be made of peacock feathers; Mary touches her heart as the dove descends. 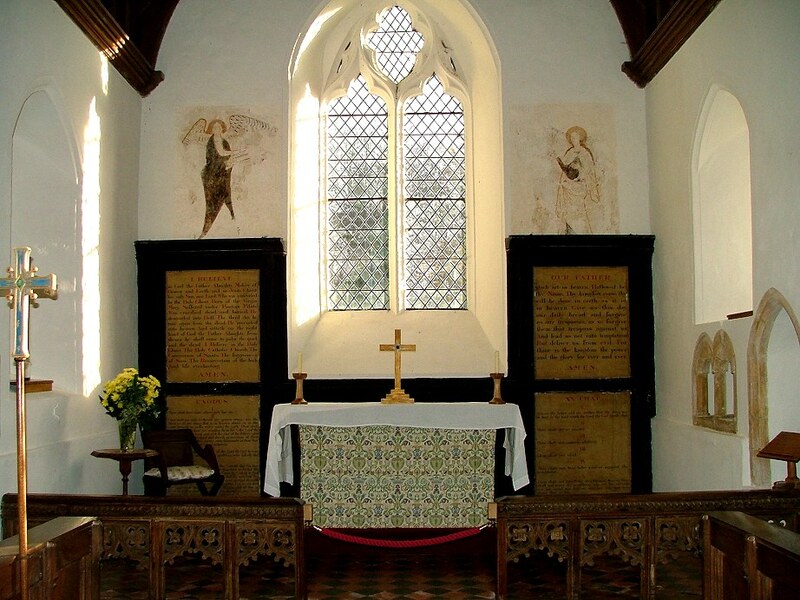 This is one of those churches that is enjotable as a whole, and apart from the wall paintings there is no single outstanding feature. However, everything is so pleasing that it is worth noting some of them. 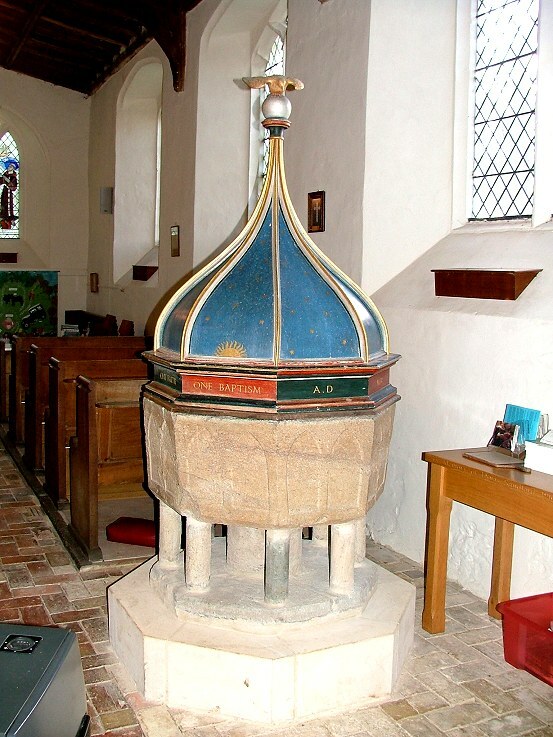 The Purbeck marble font, for instance, is no different to hundreds of others in East Anglia, but here it is set on elegant collonettes, and under a dome-like painted cover. 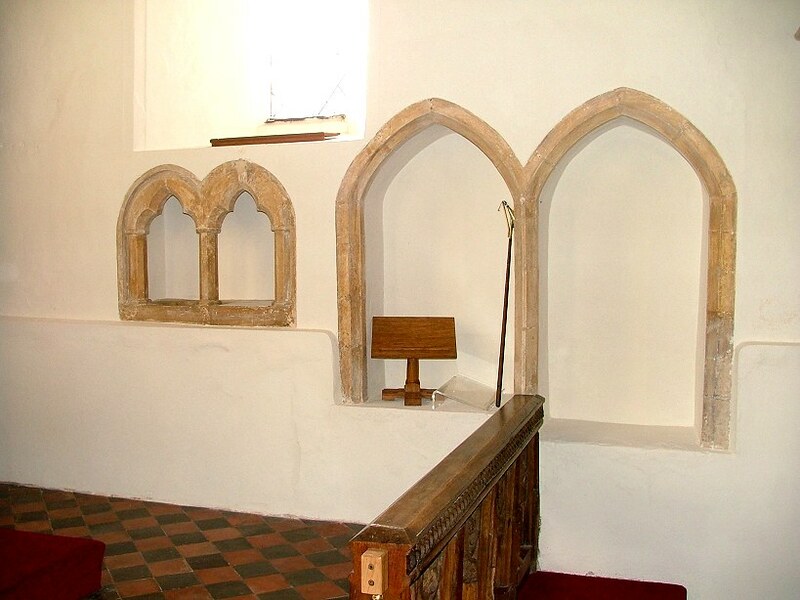 The two surviving seats in the sedilia echo the double piscina, all surviving from the original building of the church, and there is a large, later piscina set in the extreme east of the north arcade, which I think may have been reset there, possibly in place of an image niche. 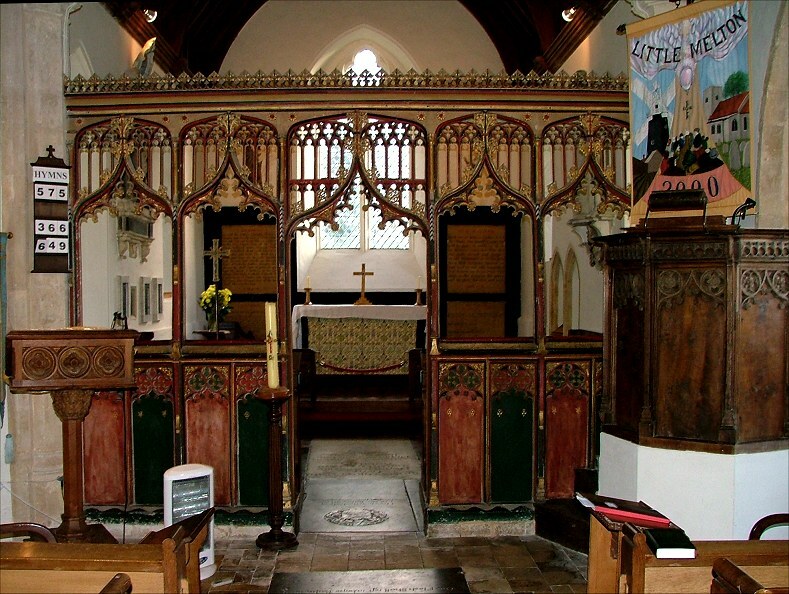 The screen is contemporary with it, painted at the bottom and with complex panel tracery above creating a sense of mystery - their darkness seems to float above the chancel like a cloud. 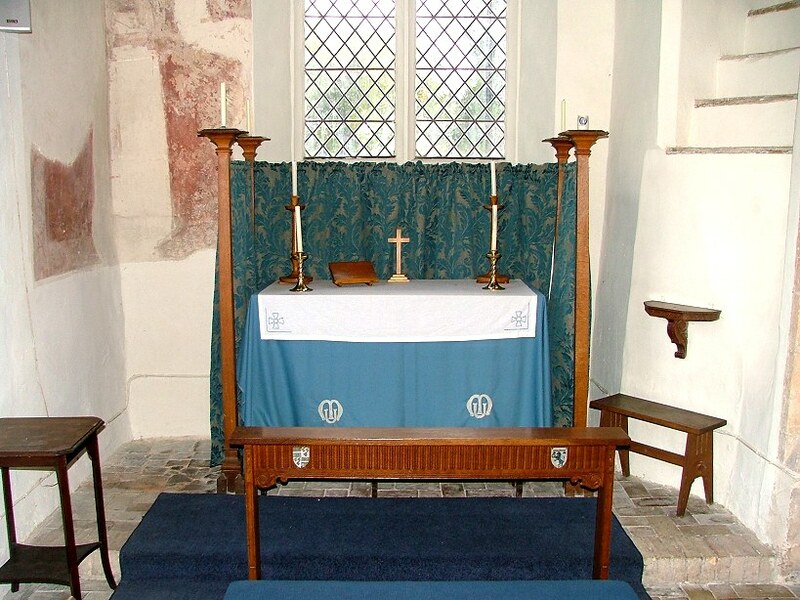 The screen seems complete, and so the panels in the pulpit and in the front of the stalls probably came from the roodloft. 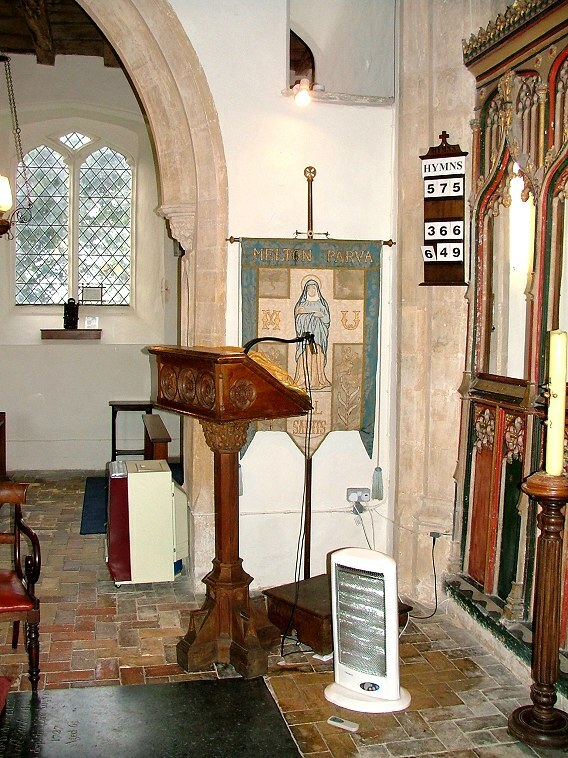 Later features contribute to the charm; the green 19th century organ set below the tower, disarmingly off-centre; the decalogue boards and a single brass inscription to the Anguishe family, who we have met elsewhere at Norwich St George Tombland. 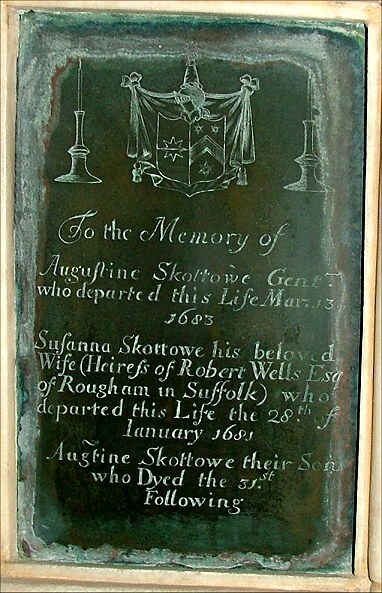 Up in the chancel is a series of wall-mounted copper plates to the Scottowe family, very unusual. 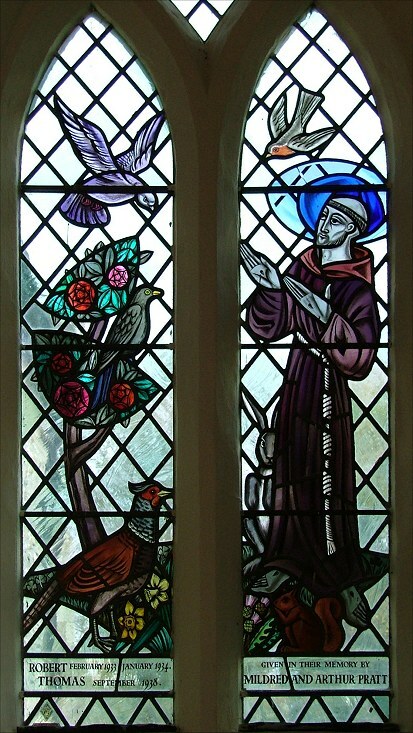 The 20th century gave a simple window of St Francis in the south aisle. 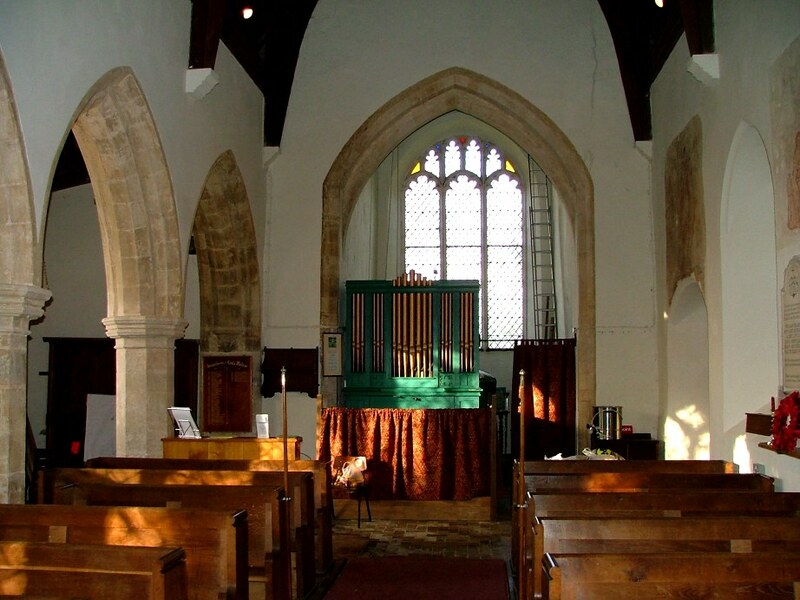 When the organ was moved away from the north doorway, it was found that the otherwise disused north door had a small doorway set within it. 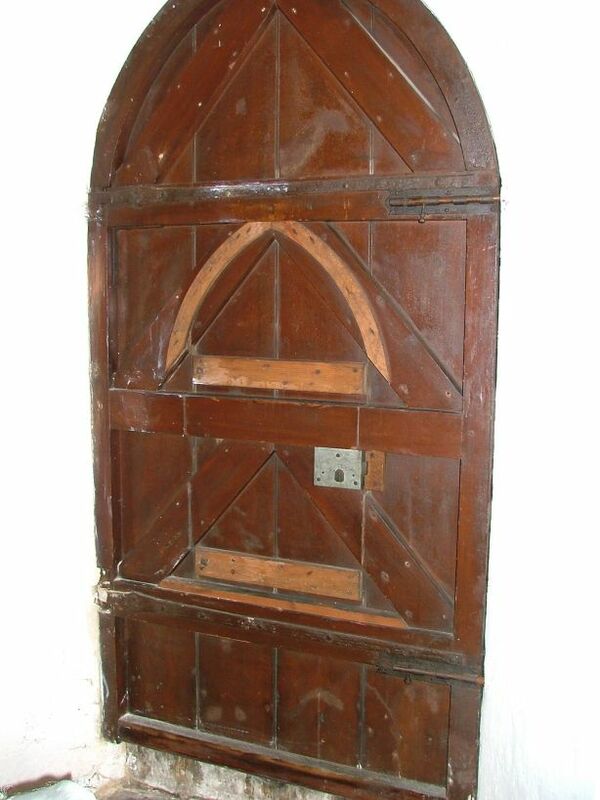 This was the access hatch to the back of the organ used by the organ tuner, and therefore Little Melton's organ was probably the only organ in Norfolk that was tuned from outside the church. 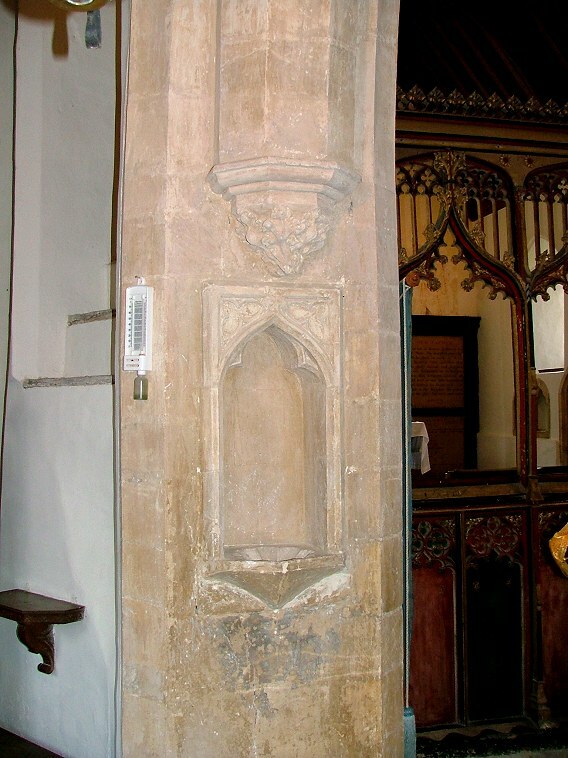 Now, the north doorway is to form the access to a planned extension, which will continue the line of the north aisle westwards. It will contain a meeting room, kitchen and toilets. 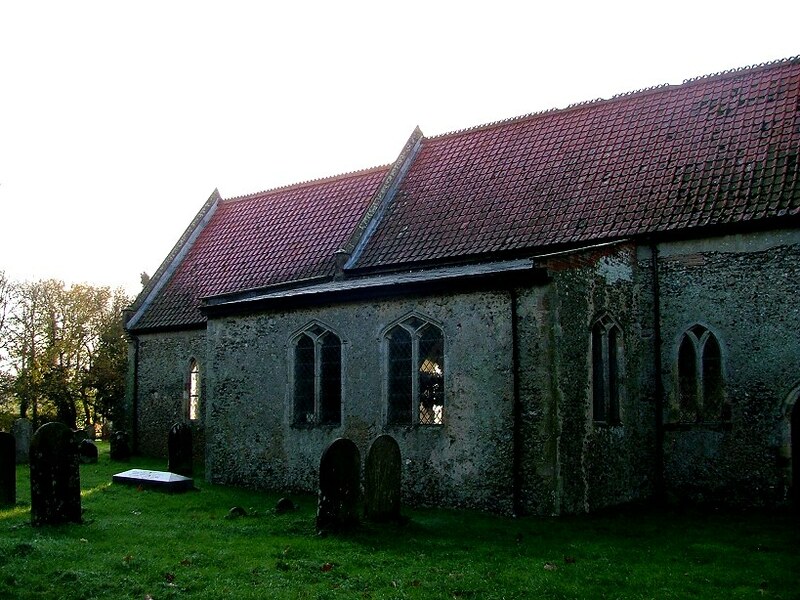 It looks very good in the plans, and I think it will be a fine adornment to this happy, welcoming church.